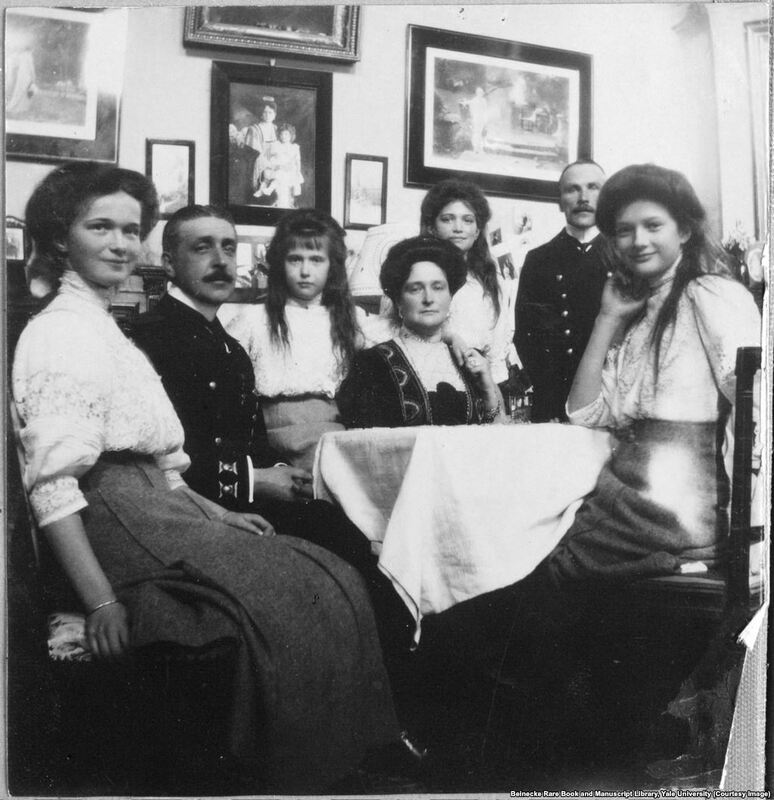 At about 1 a.m. on July 17, 1918, in a fortified mansion in the town of Ekaterinburg, in the Ural Mountains, the Romanovs—ex-tsar Nicholas II, ex-tsarina Alexandra, their five children, and their four remaining servants, including the loyal family doctor, Eugene Botkin—were awoken by their Bolshevik captors and told they must dress and gather their belongings for a swift nocturnal departure. The White armies, which supported the tsar, were approaching; the prisoners could already hear the boom of the big guns. They gathered in the cellar of the mansion, standing together almost as if they were posing for a family portrait. Alexandra, who was sick, asked for a chair, and Nicholas asked for another one for his only son, 13-year-old Alexei. Two were brought down. They waited there until, suddenly, 11 or 12 heavily armed men filed ominously into the room. 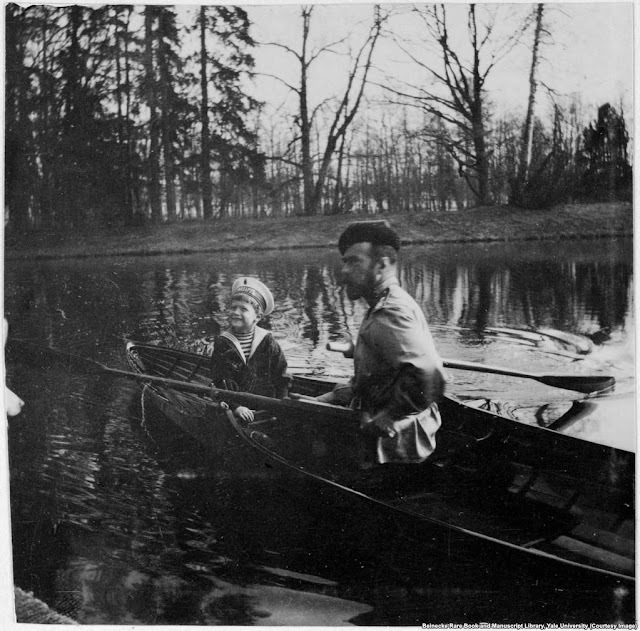 After Tsar Nicholas II and his family were executed by Bolshevik revolutionaries, a collection of the royal family's personal photographs was smuggled out of Russia. The albums offer a haunting glimpse into the life of a family destined for tragedy. 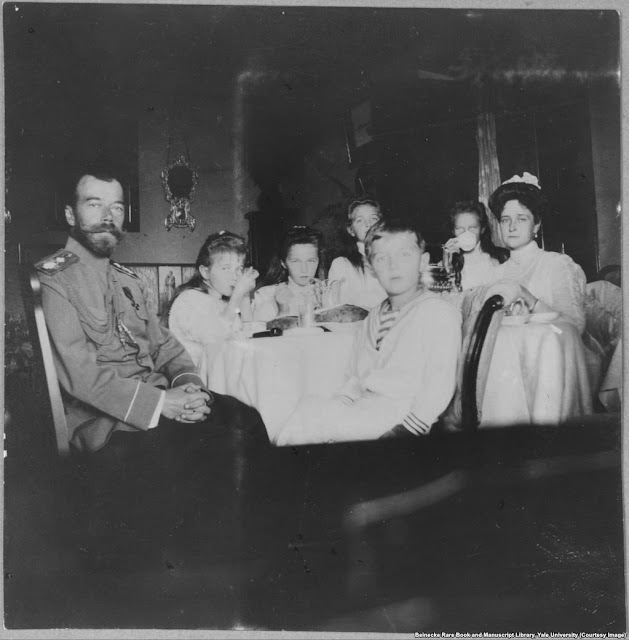 Nicholas II and his wife, Empress Aleksandra (far right), with their four daughters and son. The tsar was forced to abdicate in 1917 and he and his family were shot and stabbed to death by Bolshevik troops, in 1918, before their bodies were doused in acid and dumped into a mine shaft. 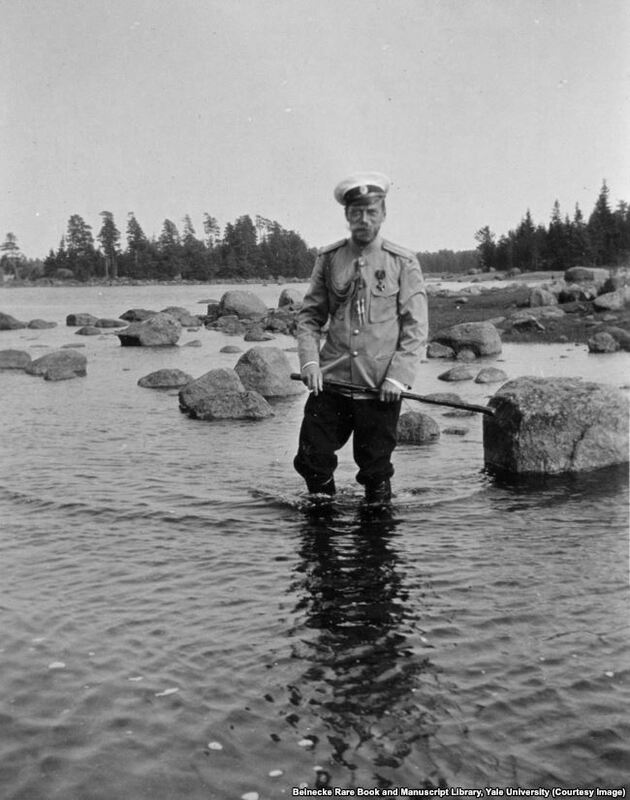 Tsar Nicholas II wading on the rocky shore of Finland. 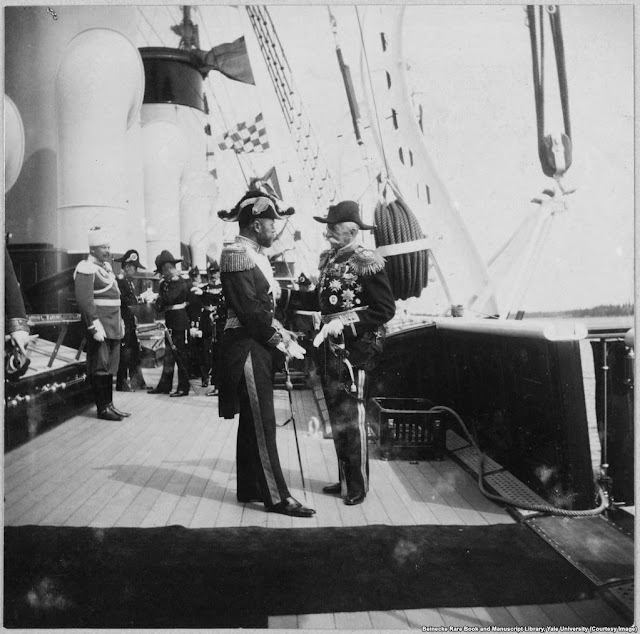 After the early death of his father, he confided to a friend, "I am not yet ready to be tsar. I know nothing of the business of ruling." Tsar Nicholas II and his son, Aleksei, near St. Petersburg. The young heir suffered from hemophilia, a genetic disorder that prevents blood from clotting. Anna Vyrubova (right) wading at the beach with Grand Duchesses Tatyana and Olga. 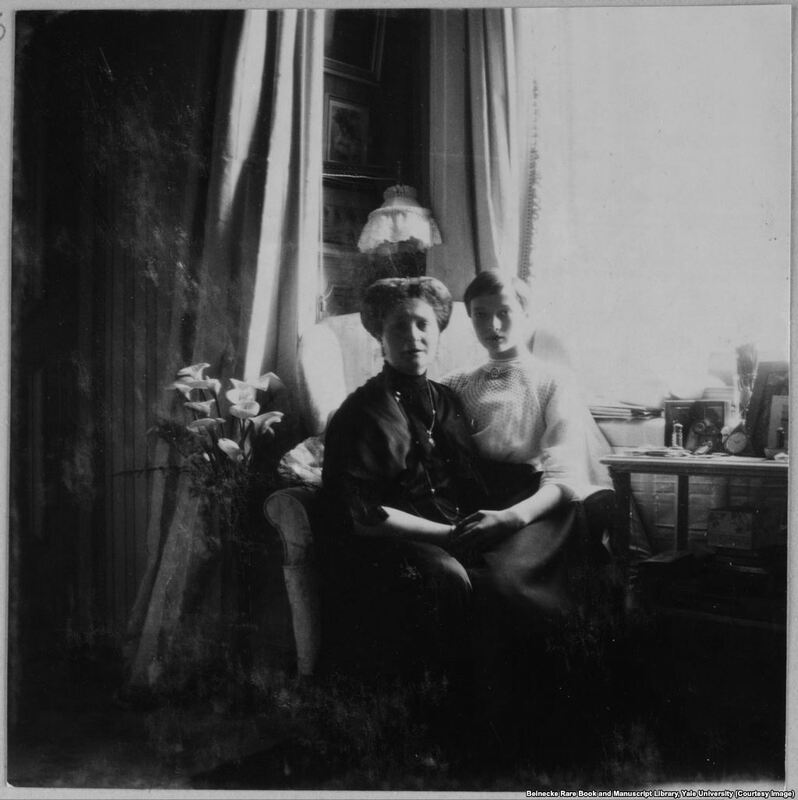 After the family was murdered, Anna, a close friend of the royal family, was able to flee Soviet Russia with six albums containing these photographs. 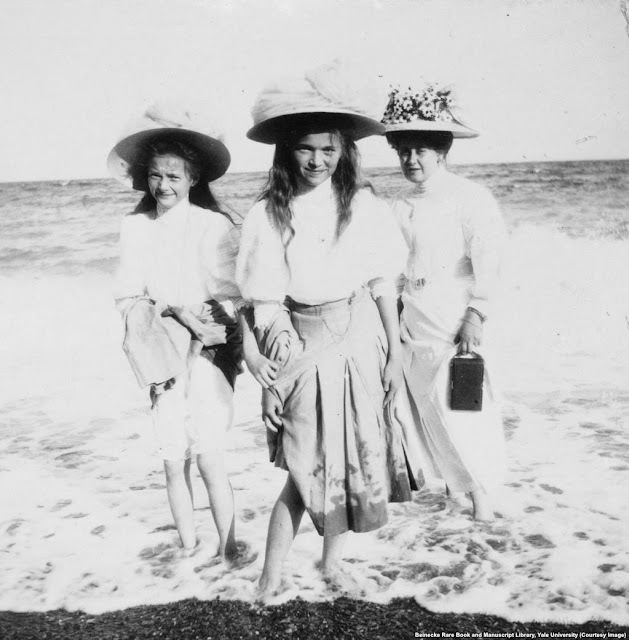 Empress Aleksandra (left) with Anna Vyrubova, and Olga, the eldest of the grand duchesses. 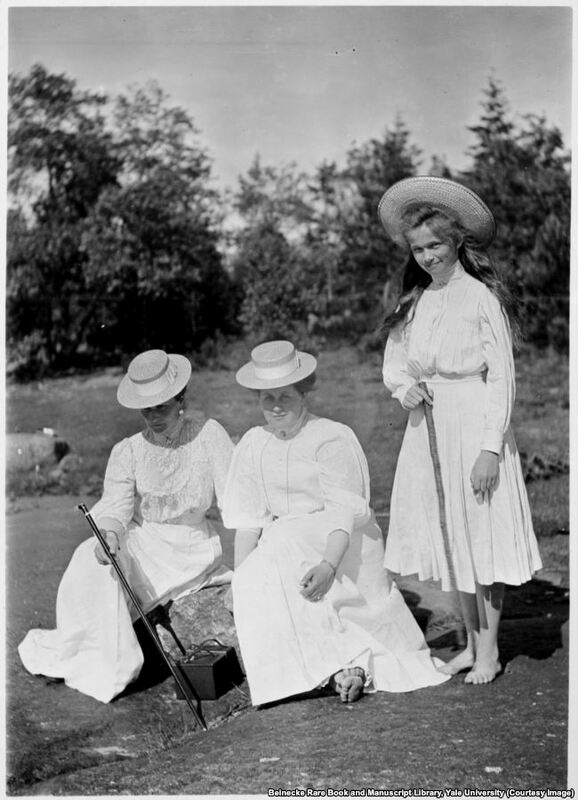 Anna was arrested after the revolution but managed to escape to Finland with the albums, which contain more than 2,600 photographs of the private lives of the Romanovs. She died in Helsinki in 1964. 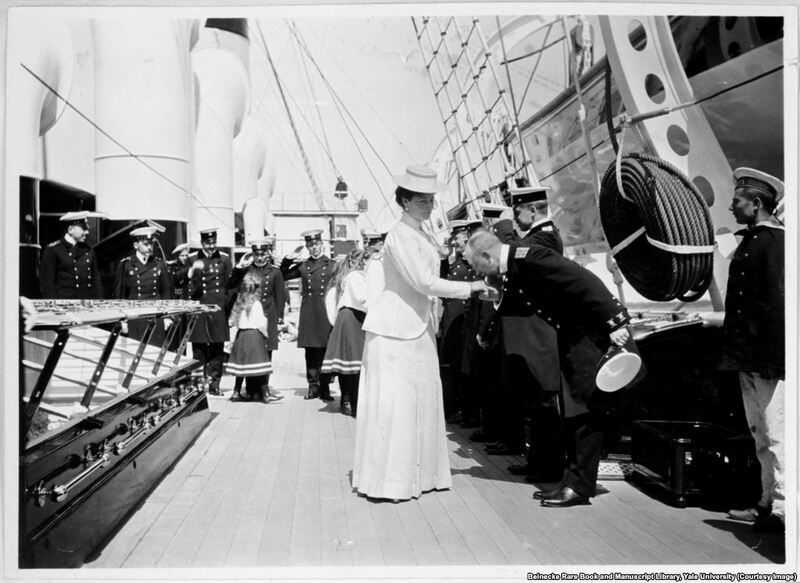 Empress Aleksandra being greeted aboard the Standart, the imperial yacht that served the tsar's family for holidays and official tours. 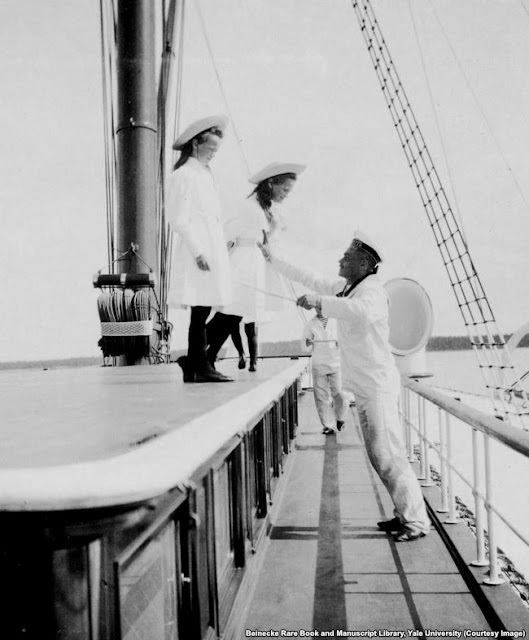 In the background, her young daughters, known as Russia's grand duchesses, are saluted by the crew. Two of the grand duchesses aboard the Standart. 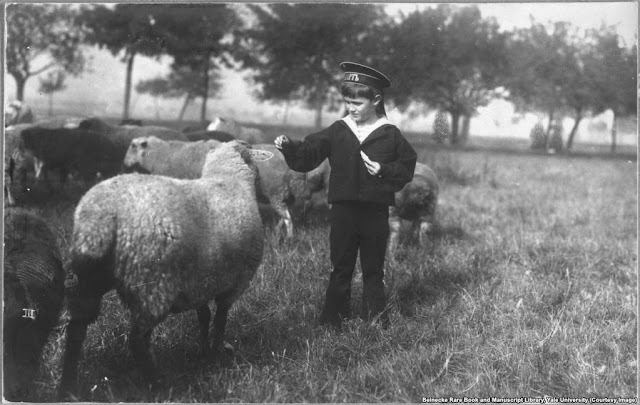 When the children were small, each was assigned a sailor to ensure they didn't fall overboard. 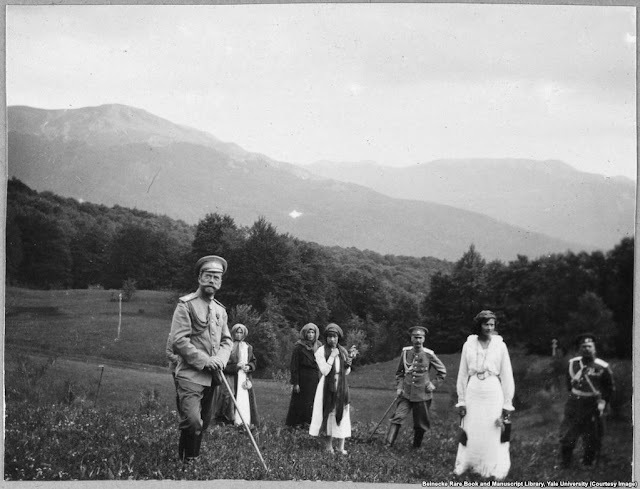 Nicholas II and his daughters hiking in Crimea. A footbridge at Spala in Poland. 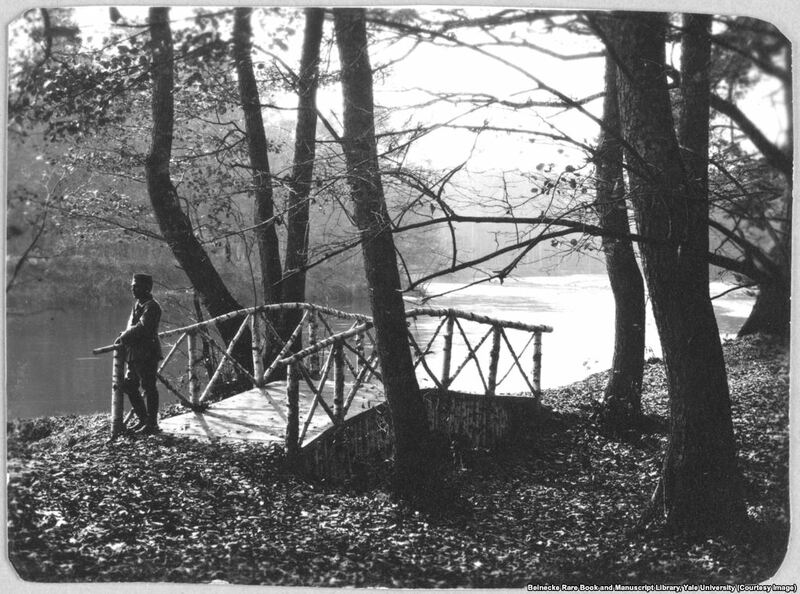 During the royal family's 1912 trip here, Tsarevich Aleksei fell while jumping into a rowboat and badly bruised his thigh, triggering internal bleeding that brought the heir apparent to the brink of death. Tsar Nicholas II posing with a deer felled at Spala shortly before the crisis with his son began. When the Siberian mystic Rasputin apparently helped the tsarevich make a miraculous recovery from his internal bleeding, Rasputin became a close confidant of the royal family. Empress Aleksandra and her daughter, Grand Duchess Tatyana. The two were said to be especially close. Tsar Nicholas II (left) greeting an unidentified man aboard the Standart. Tsarevich Aleksei Romanov, the heir to the Russian throne. The boy was 13 years old when he and his family were assassinated. 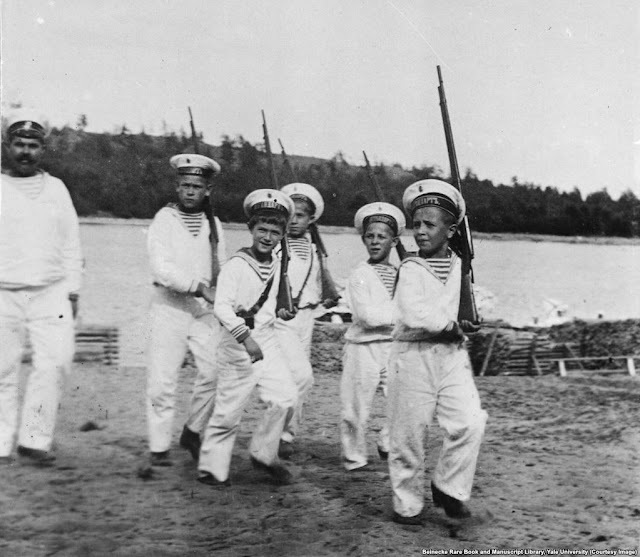 Tsarevich Aleksei, third from left, playing soldiers. Andrey Derevenko (far left) was one of two minders tasked with looking after the vulnerable heir apparent. Derevenko joined the Bolsheviks soon after the revolution and taunted the tsarevich before disappearing into obscurity. 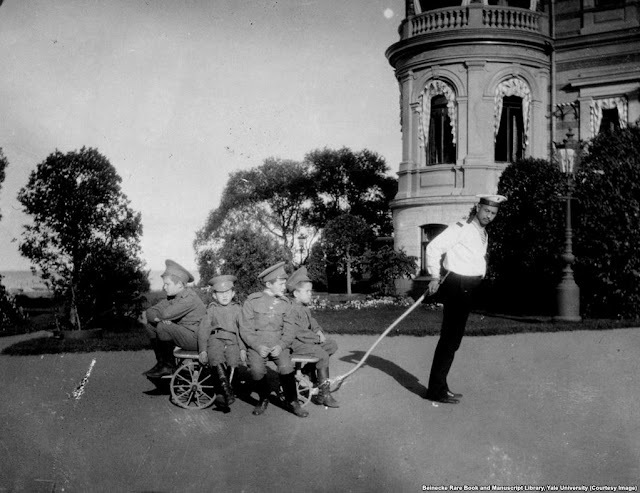 Klementy Nagorny (right) was also tasked with looking after Tsarevich Aleksei (second from right on trolley). 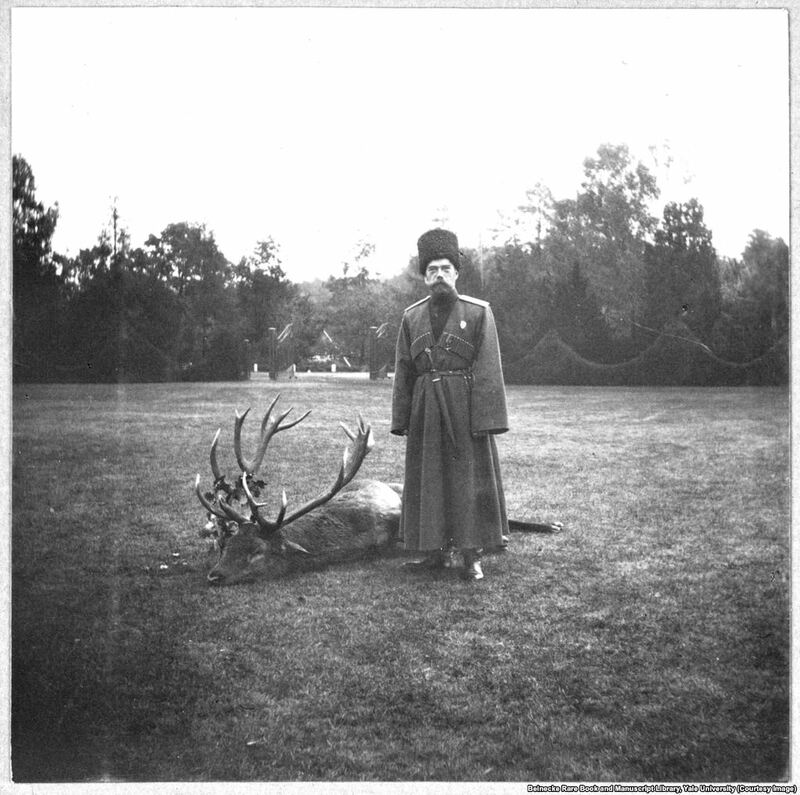 After the 1917 revolution, Nagorny joined the royal family in captivity despite knowing it was likely he would be killed. While imprisoned with the Romanovs, he intervened to stop a Bolshevik guard from stealing Aleksei's gold chain; he was shot a few days later. 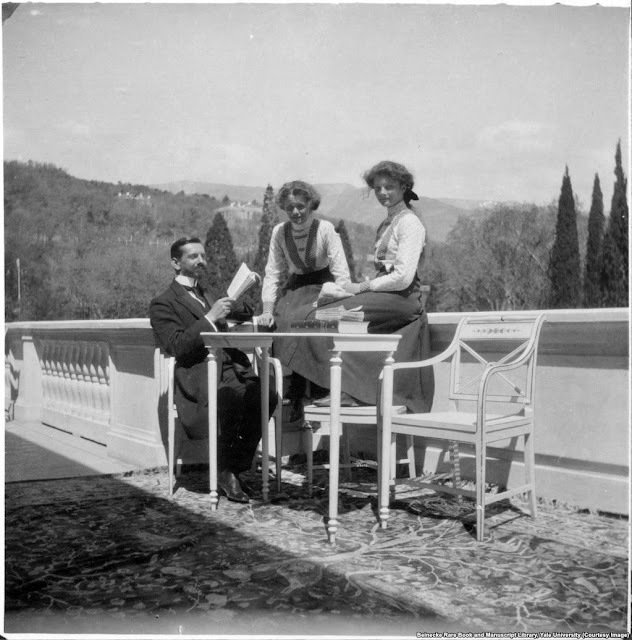 Pierre Gilliard, the family's French tutor, with his pupils Olga and Tatyana Romanov. Gilliard was another of the family's retinue who joined them in captivity. After the murders, he assisted the investigation into the killings before fleeing Russia as Vladimir Lenin tightened his grip on power. He died in Switzerland in 1962. The grand duchesses with their mother and two officers. 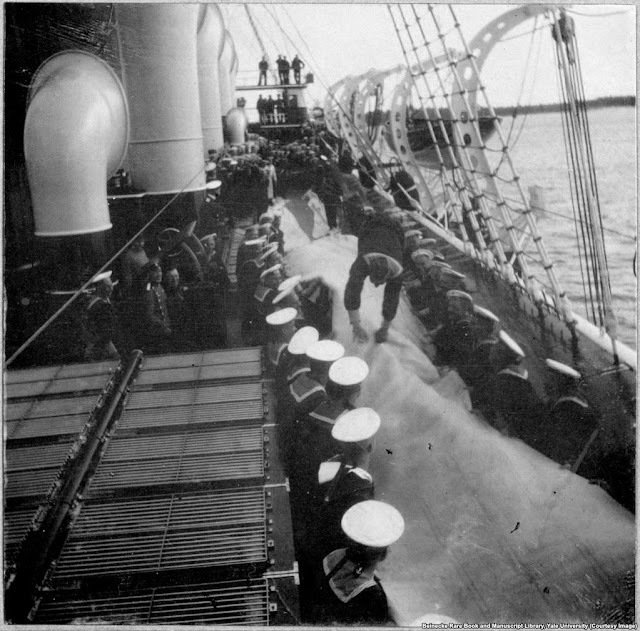 Aboard the Standart, sailors take turns bouncing their shipmates down the deck on mats. 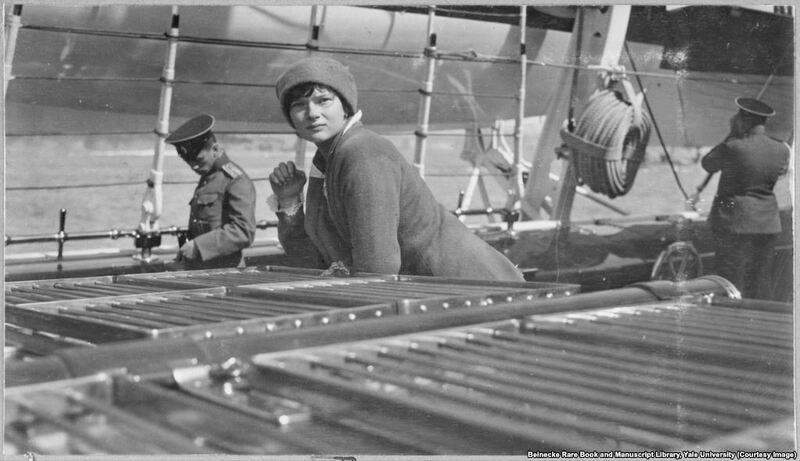 Tatyana Romanov aboard the Standart. Tatyana was described by an associate as a "poetical creature, always yearning for the ideal, and dreaming of great friendships which might be hers." Grand Duchesses Olga, Tatyana, and Maria aboard the Standart in 1914. 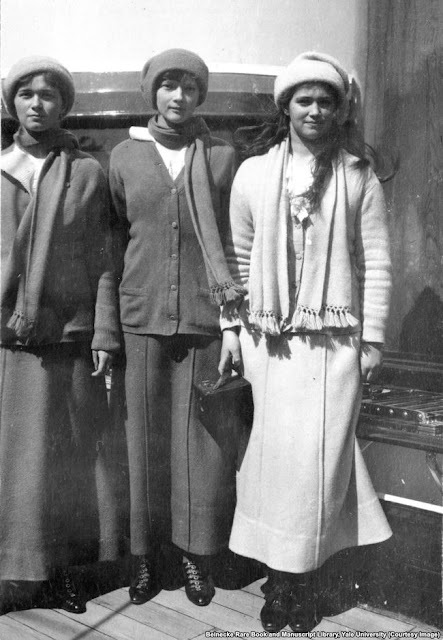 The sisters were 22, 21, and 19 years old when they were killed. 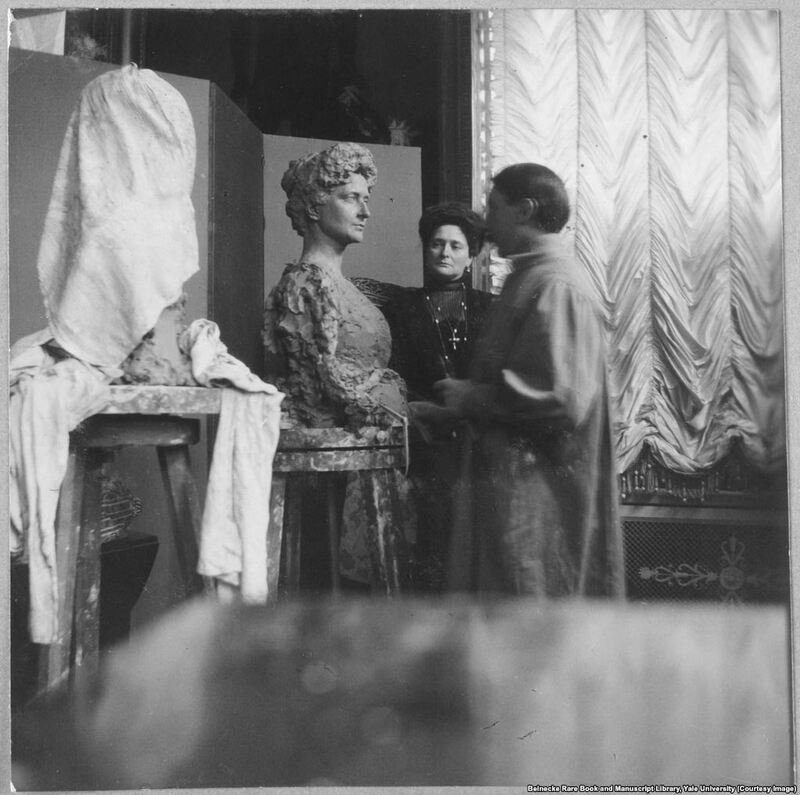 Empress Aleksandra having her likeness modeled in clay. In the three years before the revolution of 1917, the German-born Empress became a figure of suspicion and contempt as Russia fought against Germany on the ruinous battlefields of WWI. 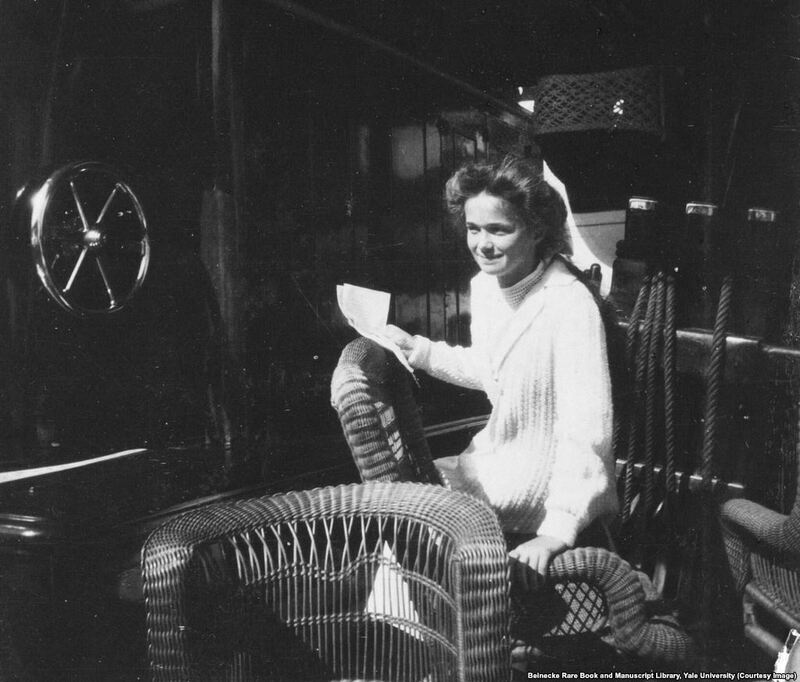 Olga Romanov in a wicker chair aboard the Standart. Villagers photographed during a trip made by the tsar and his family. 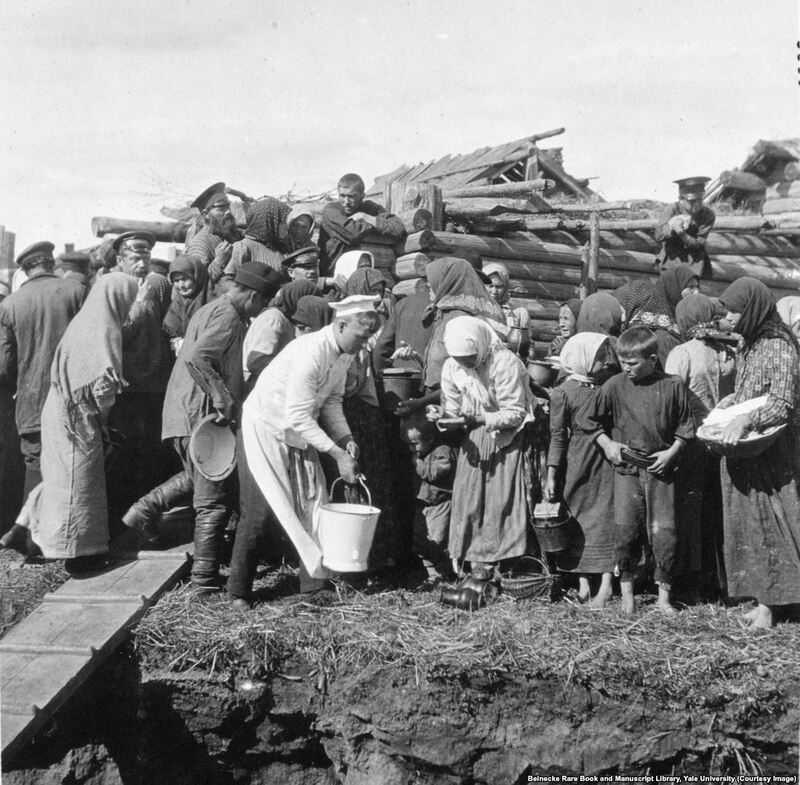 The picture is one of only a few in the albums which focus on the ordinary people of Russia. 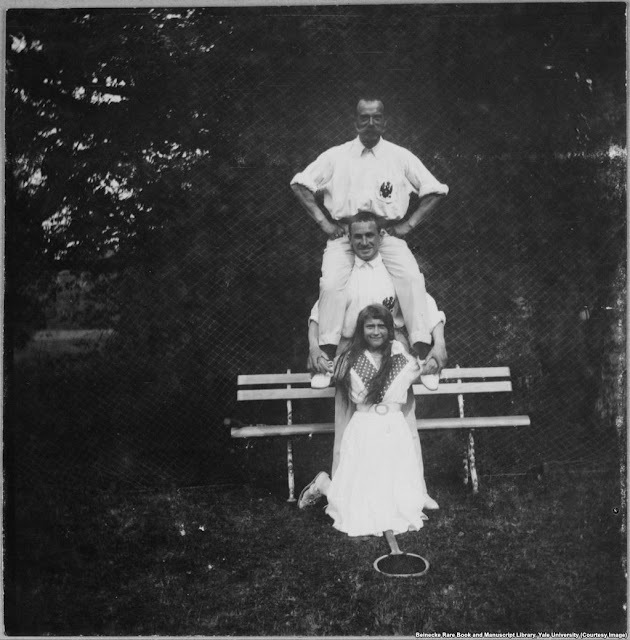 Anastasia, the youngest of the Grand Duchesses, photographed after a round of tennis with an officer and her father, Nicholas II. On the night of the murders, on July 17, 1918, Anastasia fainted in the initial hail of bullets. She awoke moments later and screamed before the Bolshevik troops piled onto her with bayonets. 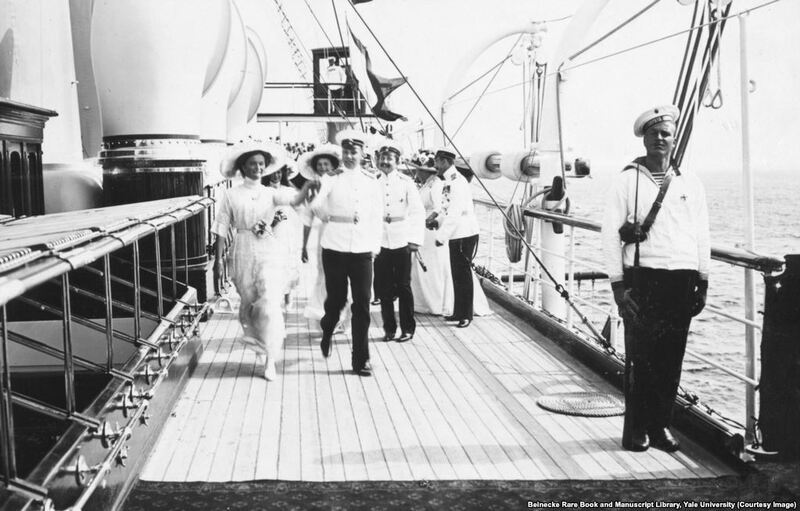 The grand duchesses striding across the deck of the Standart. Life on board the yacht was relaxed and informal, and flirtations sprang up between the sailors and the grand duchesses. 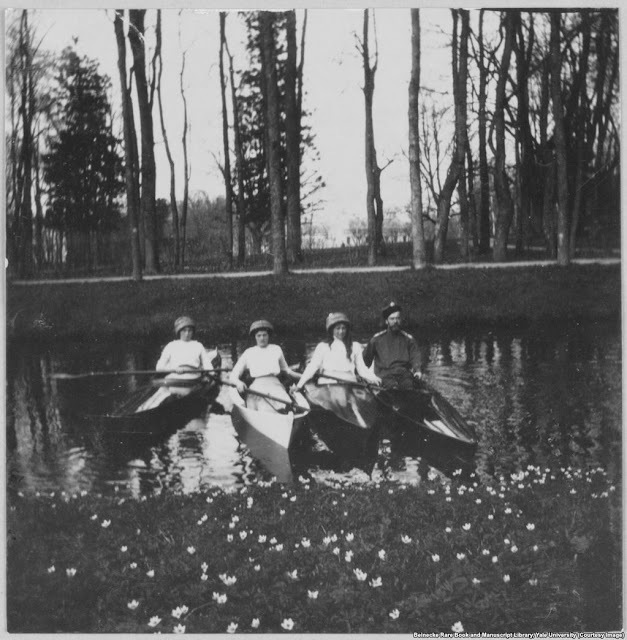 Nicholas II and three of the grand duchesses floating in one of the canals of Tsarskoe Selo, near St. Petersburg. 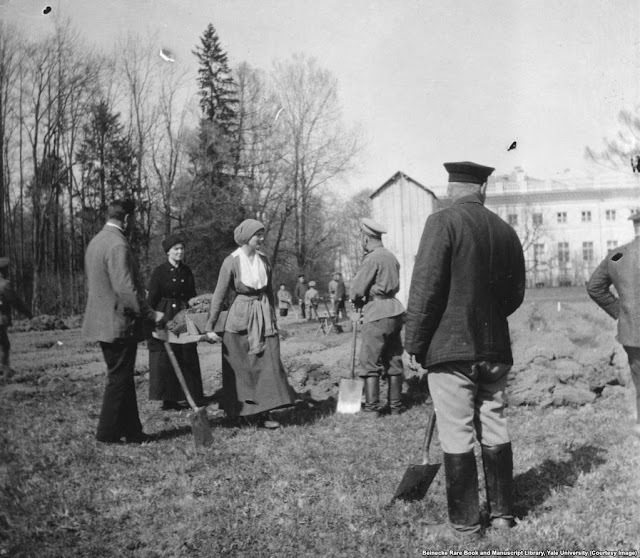 In the months after the 1917 Revolution, Grand Duchess Tatiana helping to dig a vegetable garden while being held in captivity by revolutionaries. 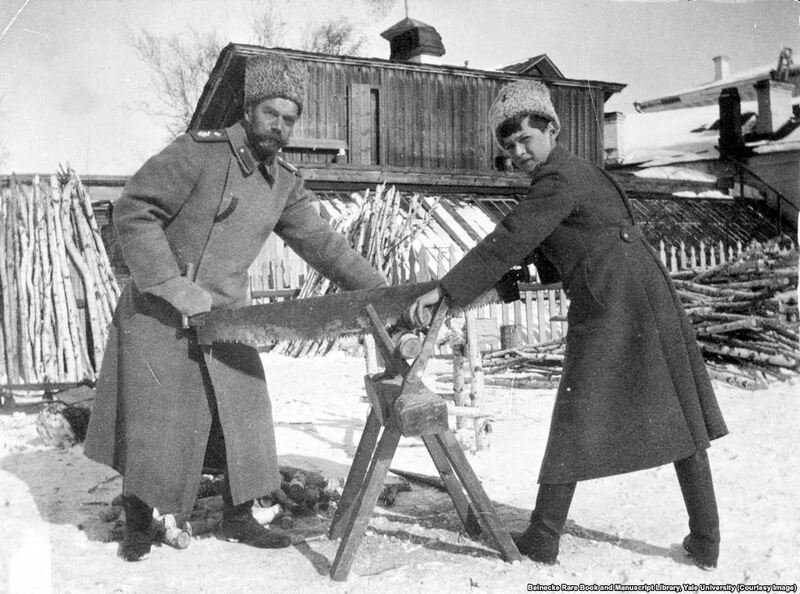 Tsar Nicholas II and his son Aleksei sawing wood while in captivity. They were killed a few months later. The diary of a senior Soviet leader recalls that Vladimir Lenin made the decision to have the Romanovs executed, after concluding "we shouldn't leave the [anti-Bolshevik forces] a living emblem to rally around, especially under the present difficult circumstances."